Long flights aren’t much fun whether you’ve got kids or not, but the places you can go and the experiences you can have, make every second of being confined in a small space for hours, worth it. Flying with kids adds a whole new element of potential horridness, but there is light at the end of the tunnel. 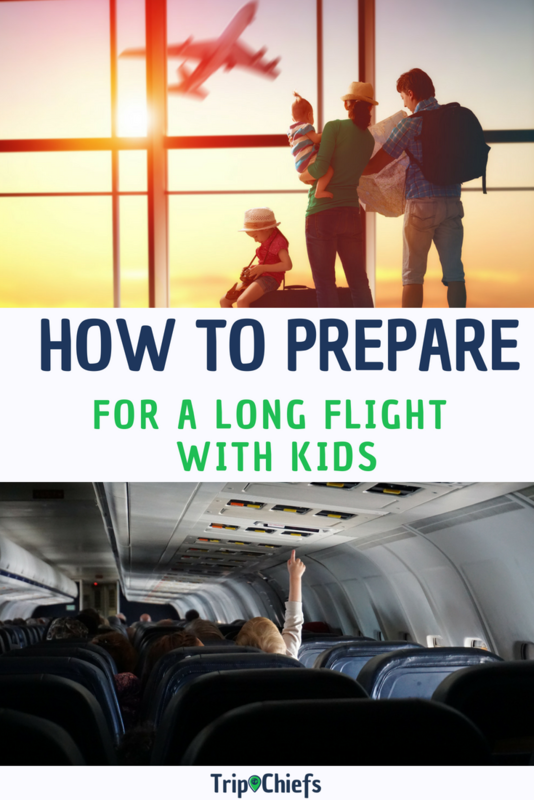 You can actually have a much better chance of having a good long-haul flight with kids if you follow these few steps to prepare you for a long flight ahead. This is the first of a two-part series and takes care of everything you need to do before your flight including choosing your airline, stopovers, timing, seating, clothing, and packing. 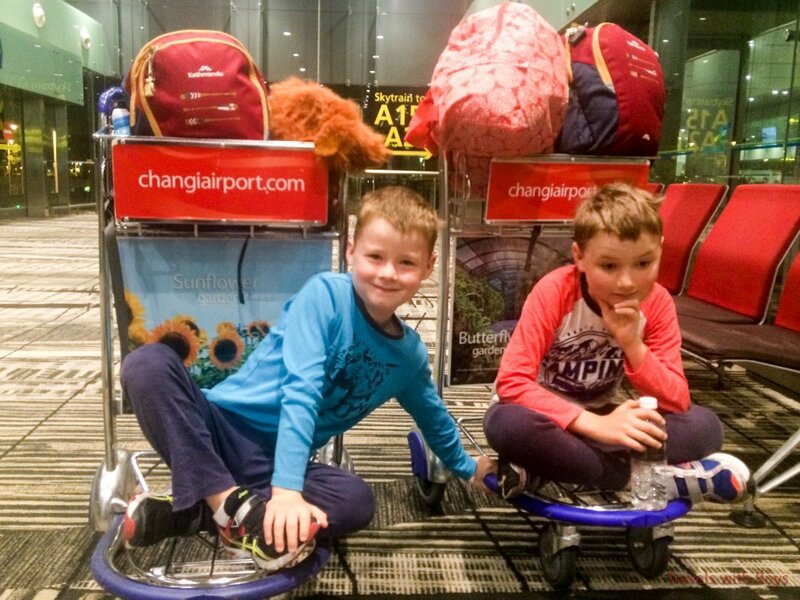 Part two – Long Haul Flight Essentials: Tips for Flying with Kids tells you everything you need to know about surviving your time on the plane. To stopover or keep going? Download my comprehensive FREE e-book, so you can learn how to take the stress, tears and overwhelm out of planning and taking off on your next flight with kids. A short flight on a low-cost carrier is one thing, but for a long-haul flight with a baby, toddler or child, you’re most likely going to want a few more comforts such as in-flight entertainment systems, full-service food and drink, a blanket, plus a little more leg and seat room. A few airlines like Etihad, even have in-flight nannies to help kids and parents during the flight. 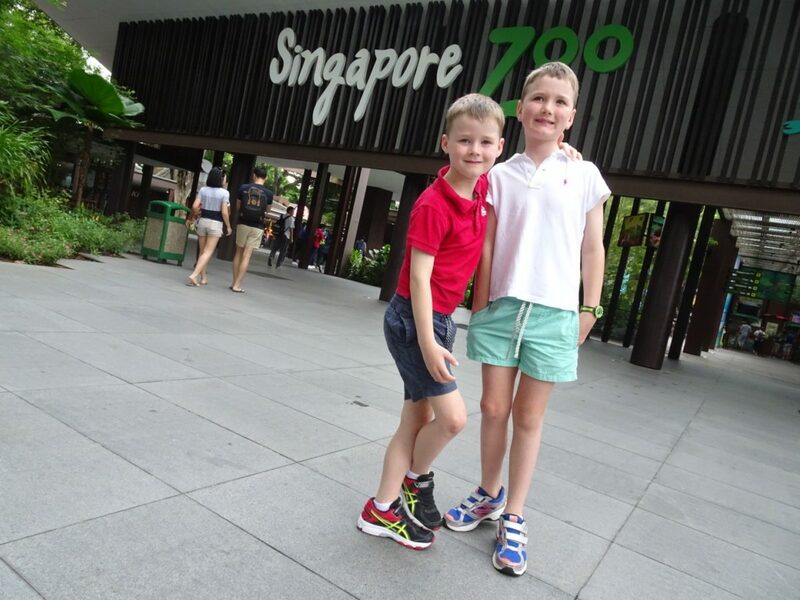 Our favourite airlines to travel with kids so far are Singapore Airlines, Qantas, Emirates, Qatar, and Air New Zealand. Virgin Atlantic, Japan Airlines, Cathay Pacific, and ANA are also highly rated for long-haul flights with children. 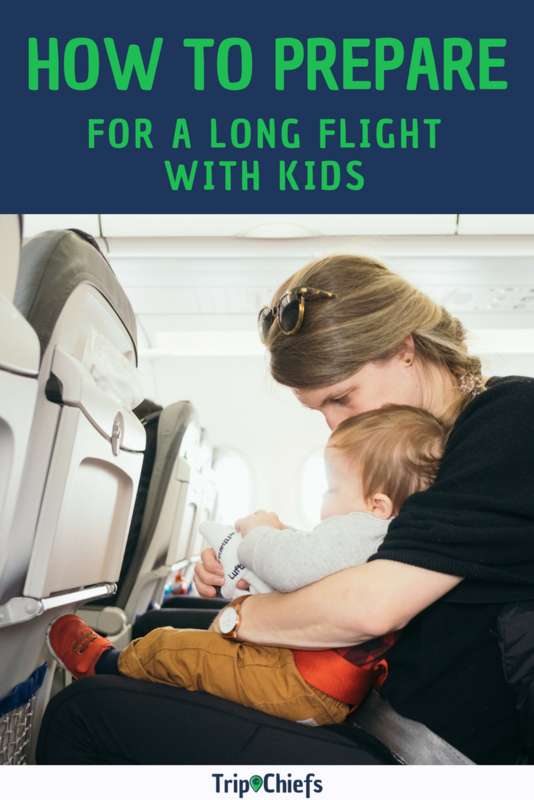 There is no definitive answer to what’s the best time to fly long haul with kids. This is a decision to best suit the age and sleeping habits of your kids, plus how many hours you have to endure in the plane. For babies, super long-haul flights that leave not long before bedtime are great if you think they’ll sleep, and a nightmare if they don’t. As the kids enter toddler and pre-school years, afternoon flights are great as they get time to play on the entertainment system, and then hopefully have a sleep which breaks things up a bit. Our kids are now 8 and 10, so we try to book flights based more on the arrival time than the departure time. I try to get a flight that arrives early afternoon, so we have time to get settled in our new accommodation, find some food and have a little wander. That way, we can attempt to get onto local time as quickly as possible. If you’re only travelling five or six hours, we have always preferred to leave early morning, so we don’t need to have the sleeping battle with the kids. But that’s our preference and doesn’t necessarily make it right for you. 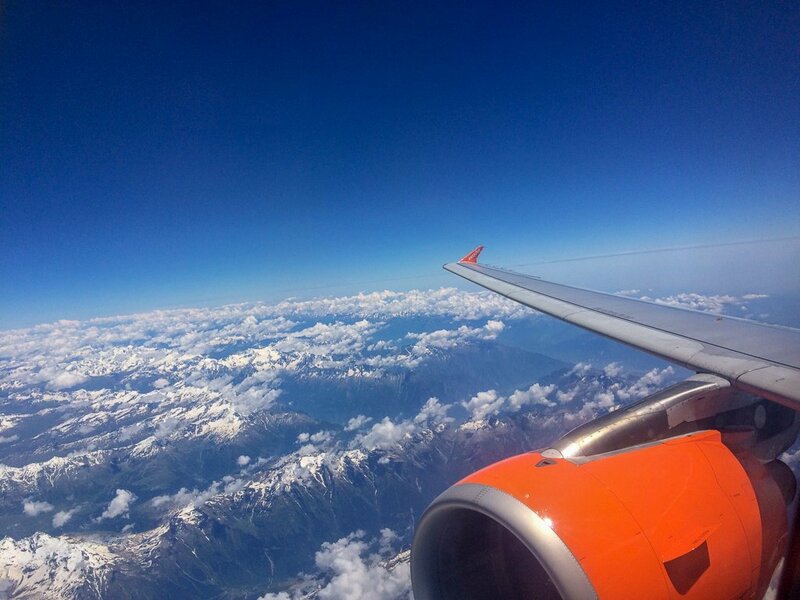 If you need to change planes or refuel throughout your trip, consider whether you want to stopover for a night or two, or whether you want to keep going. It’s a personal choice and has more to do with how you and your kids will handle doing it all at once, versus taking a break. We have done it both ways and for us, it very much depends on where we’re going. If it’s a big 24 hour flight like Australia to Europe, I like to split it up if we have the time, because it means we aren’t quite so insane when we arrive at our final destination, plus we get to see a little of another country such as Singapore, Hong Kong or the United Arab Emirates that we might not see otherwise. The downside of a stopover is that you need to go through immigration and customs when you arrive and depart, plus you have to check-in and go through security all over again. Sometimes it is absolutely worth it though. If you do a stopover, just consider the time of year and what the weather will be like. Sightseeing with kids in Dubai in the middle of summer isn’t exactly the refreshing break you’ll want, but in winter would be amazing! 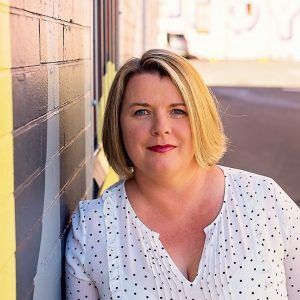 Living in Australia means that most flights we take overseas are super long-haul flights, and plenty of them involve stopovers and boarding new flights in the middle of the night! One thing we have found to be gold is to belong to one of the airline club lounges or to hire a room inside the airport terminal, so you can at least have a shower, something to eat and possibly even a nap. It also means your kids have a bit of space in a cleaner and calmer environment. Flight departures in the middle of the night are torture but the kids often cope better than you think. Always check the seating configuration of the plane first. Seat Guru is an amazing resource and will show you the seating layout of the plane for your flight. Just enter your flight number and date and it will show you the good, bad and ugly seats! Try to sit where you aren’t climbing over others to get out and they aren’t climbing over you. Nothing worse when you’ve just got the baby to sleep and then you all need to move to let someone out for the toilet! The window seat if great for someone to sleep against and also to see the incredible landscape below. The armrests in bulkhead seats don’t usually lift up, which will make it’s very hard for a kid to sleep with their head (or feet) on you. If you have young kids, you’re better off putting a parent on the aisle so that if you’re asleep, the kids have to climb over you to escape, plus people won’t bump and wake up your kids as they go past. If you or your partner are really tall, you may want to consider getting them an aisle seat or an exit row seat. But be aware that kids or pregnant women can’t sit in the exit row, plus you need to book and pay for exit row seats before the flight. My husband is 6ft 5 and there is always a lot of compromising that goes on before we fly. Some airlines require you to pay to choose your seats. On short flights, I don’t bother paying, but for super long haul (more than 12 hours) I absolutely want to get the best seats available. I don’t like being stuck up the back of the plane near the toilets, and not knowing where I was sitting would add more stress for me. I know lots of people pay to choose, and lots who never choose their seats, so it is up to you to decide whether you do it. 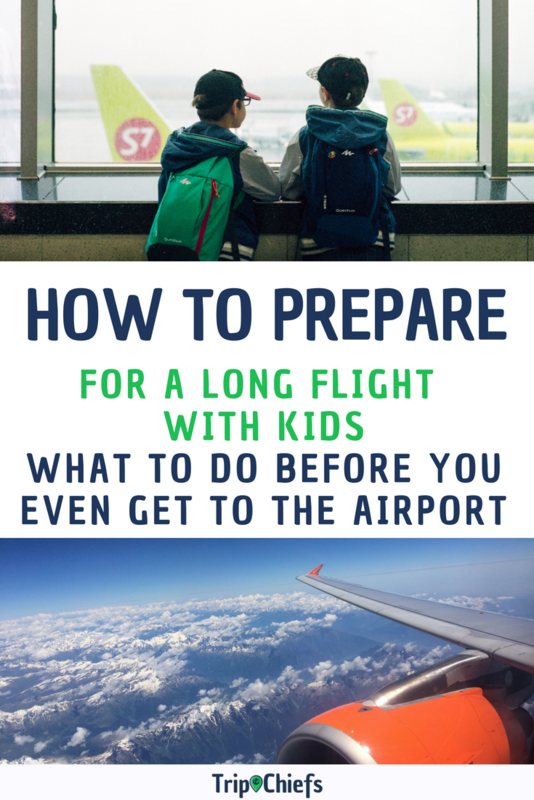 Even if your child knows what a plane is, it’s a great idea to prepare them for what it’s like to go through a busy airport, how it will work with security (which can be frightening for some), why you’re always lining up for something, and what to expect on the plane. There are plenty of age-appropriate books out there to read with your kids, plus for toddlers, we’ve found the Airport Diary cartoon series is good to watch. Putting off flying until your child is older is not necessarily a solution for anxious flyers. Chances are, they might not grow out of it and instead, their fear gets worse as they get older if they’ve never experienced flying. What has worked for us over the years was talking about it, plenty of distraction before boarding and during takeoff, as well as a lot of assurance and hand holding. 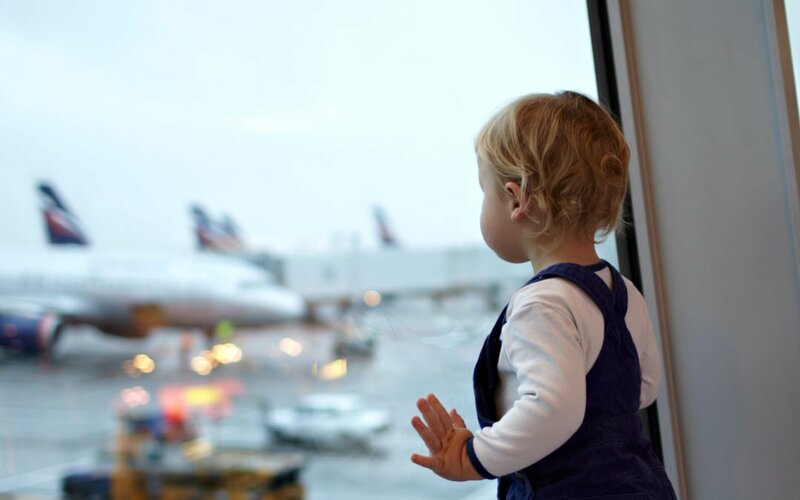 The biggest thing if you have a child anxious about flying is that you are calm (no matter what – and that can be hard) and that you talk through what they’re scared of without trying to fix the problem. One thing to consider is whether your anxious flyer would benefit from taking a short flight from a smaller and not so crazy busy airport. I’m no psychologist, just a mother with the experience of her own child and knowledge of talking to many others, so if you are worried, go and talk to a child physiologist or counselor to get some tips and coping mechanisms specific to your or your child’s needs. The best clothes to wear on a long-haul flight are comfortable ones and layers of them so that you can add or remove clothes as the temperature inside the aircraft changes. Planes do get cold. Pyjamas or leggings are great for kids to get into before bedtime to help them sleep. Remember to bring a spare set of clothes for everyone and put them in a ziplock bag, small packing cell or similar, so they’re easy to find when you need them. Be aware that at security you will usually need to take off your belt and shoes. So make it easy on yourself and avoid wearing a belt if possible and make sure your shoes are easy to get on and off so the kids don’t start acting up in the middle of airport security. Kids shouldn’t have to take off their shoes to go through security, but you never know when they might get asked to take them off. One thing I have learned through years of long-haul flights is that you only need to take the essentials on board. The more you take on the plane, the heavier it will be to carry around the airport, the more likely you are to lose things, and it’s a pain in the backside trying to find things when it’s stuffed full. Remember, you can only keep a tiny amount of your belongings in the seat pocket in front of you. Plus you are going to want to give yourself the extra legroom on a long-haul flight so that carry on bag is going to have to go in the overhead lockers. 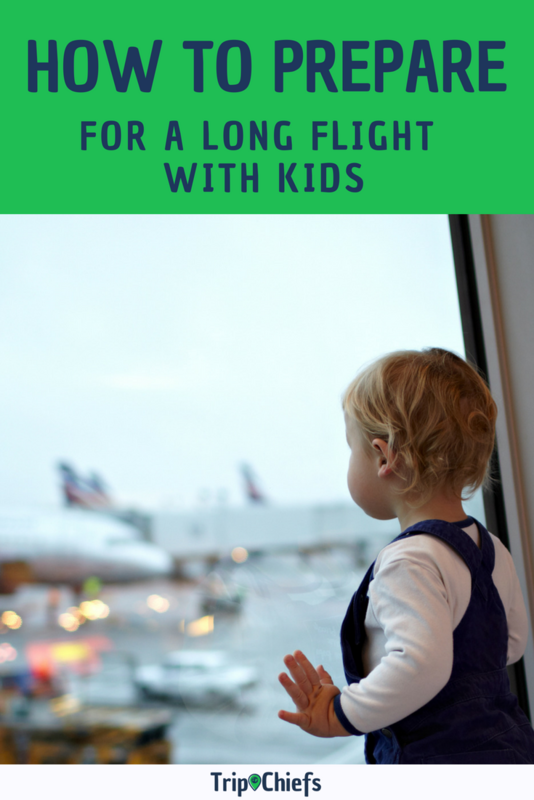 Make flying with kids easier and more enjoyable with my 20 simple strategies.